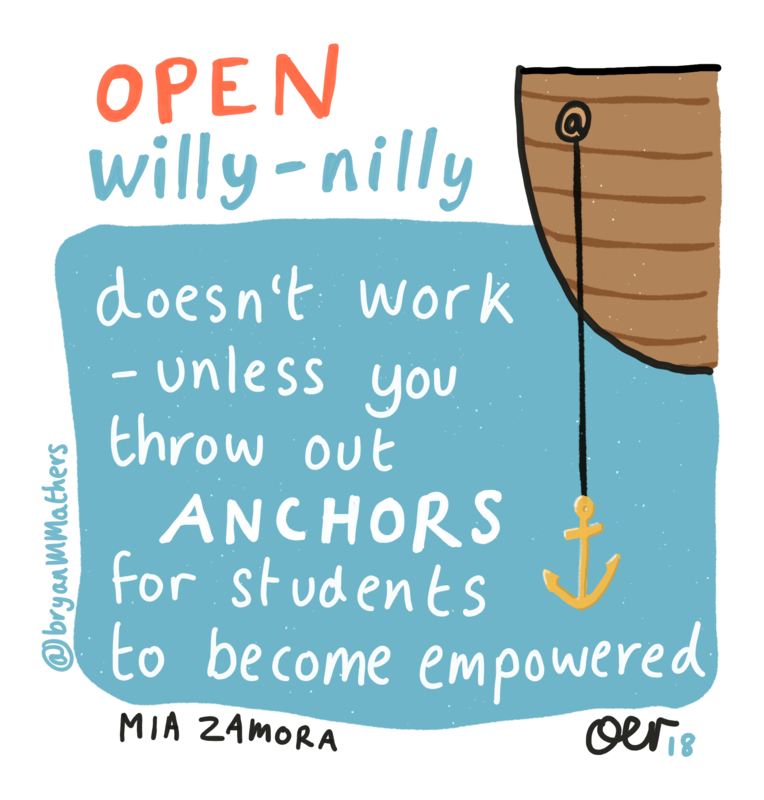 Working in the open – it often feels counter-intuitive. 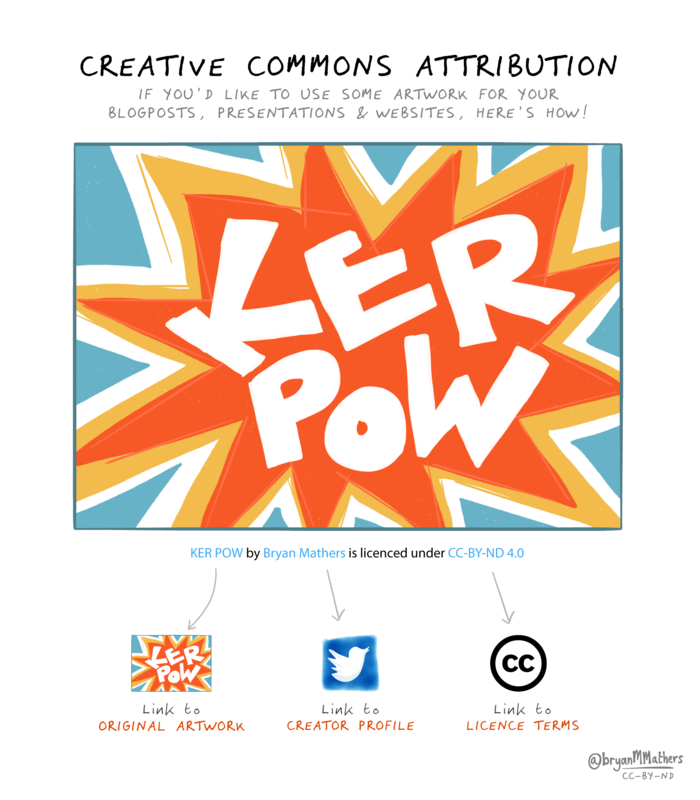 What if someone criticises my half-baked idea? What if they make it stronger? What if someone dislikes the thing I’ve created? What if they really like it? What if they pinch the idea? What if they’re able to use the idea, or add theirs to it? Inspiration comes from others. Be an other. 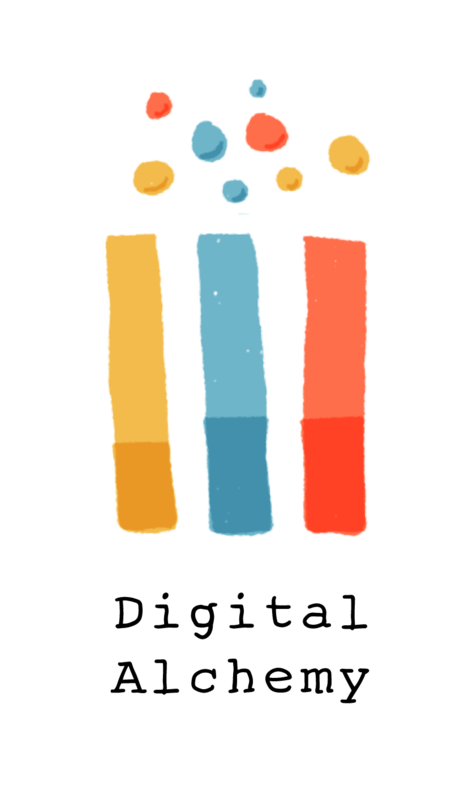 From a conversation about Digital Literacies with We Are Open colleagues Grainne Hamilton and Doug Belshaw. 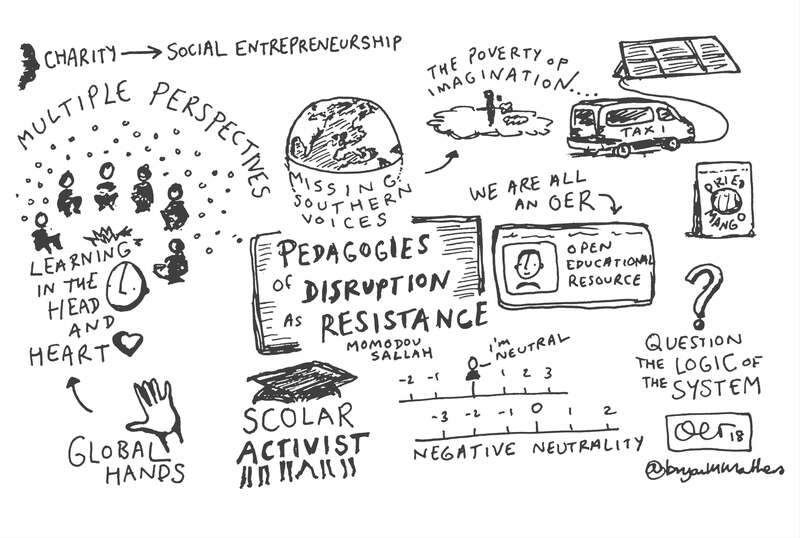 Listening to Momodou Sallah’s keynote at OER18 instantly transported me back to my days living and working in Dar es Salaam, Tanzania. I found myself deeply resonating with his desire for change and his willingness to be a part of it. Social Entrepreneurship; Confronting the poverty of imagination; The Empire narrative; The missing Southern voices. I found it inspirational. 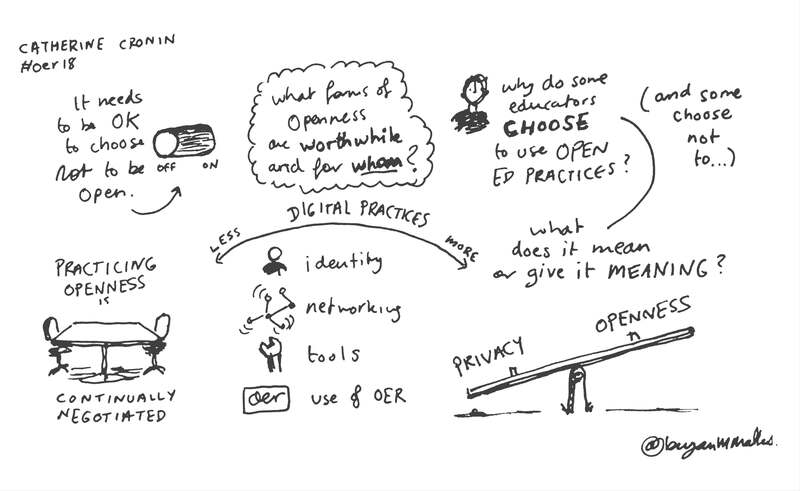 My sketchnote from Catherine Cronin’s talk at #OER18. I was reflecting to another attendee afterwards that I find some talks lend themselves more towards a sketchnote than others. Someone who knows what they are talking about, and cares deeply about it, is a must. 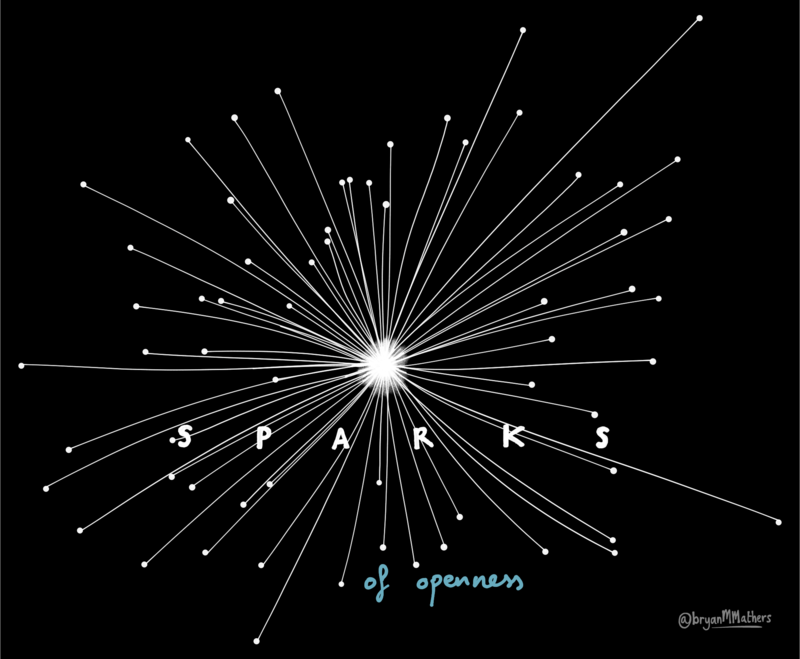 But another key ingredient for me are the speaker’s homemade philosophies sprinkled through their talk – and it’s often this mix that I find paints a picture worth drawing. 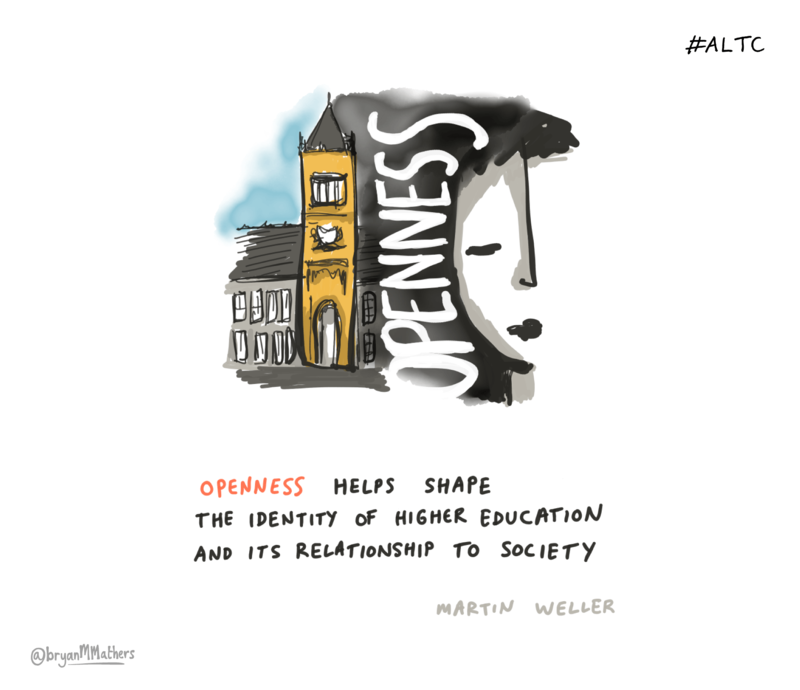 This thought is by Martin Weller, via the opening keynote by Bonnie Stewart at the recent ALT conference, entitled The new norm(al): Confronting what Open means for H.E. What Open means for H.E. 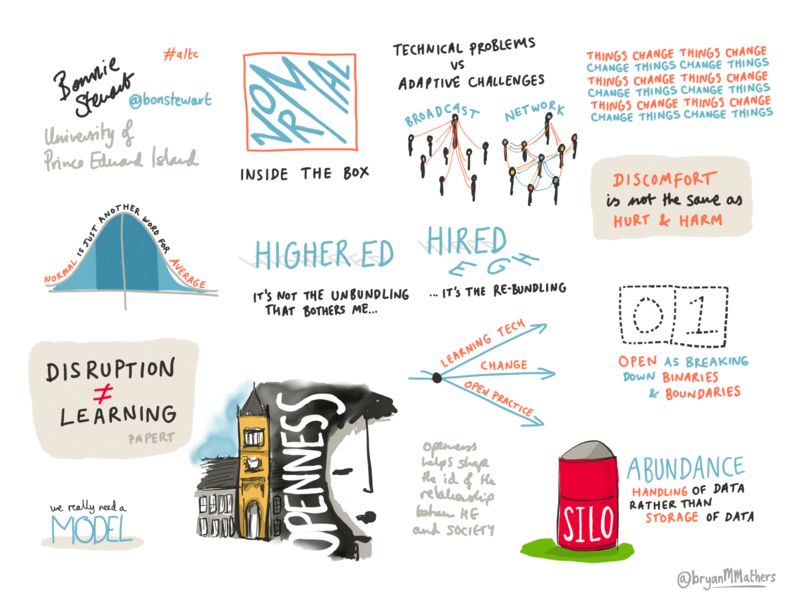 I thoroughly enjoyed the opening keynote by Bonnie Stewart at the recent ALT conference, entitled The new norm(al): Confronting what Open means for H.E. 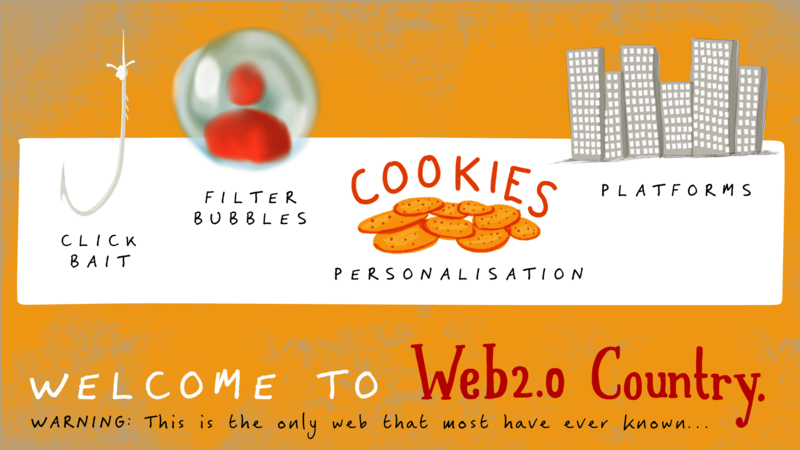 Web2.0—the web of platforms, personalization, clickbait, and filter bubbles—is the only web most students know. That web exists by extracting individuals’ data through persistent surveillance, data mining, tracking, and browser fingerprinting and then seeking new and “innovative” ways to monetize that data. As platforms and advertisers seek to perfect these strategies, colleges and universities rush to mimic those strategies in order to improve retention. Here comes a beaut! shouts my dad. I can remember spending hours in the sea of Donegal belly surfing as a kid. 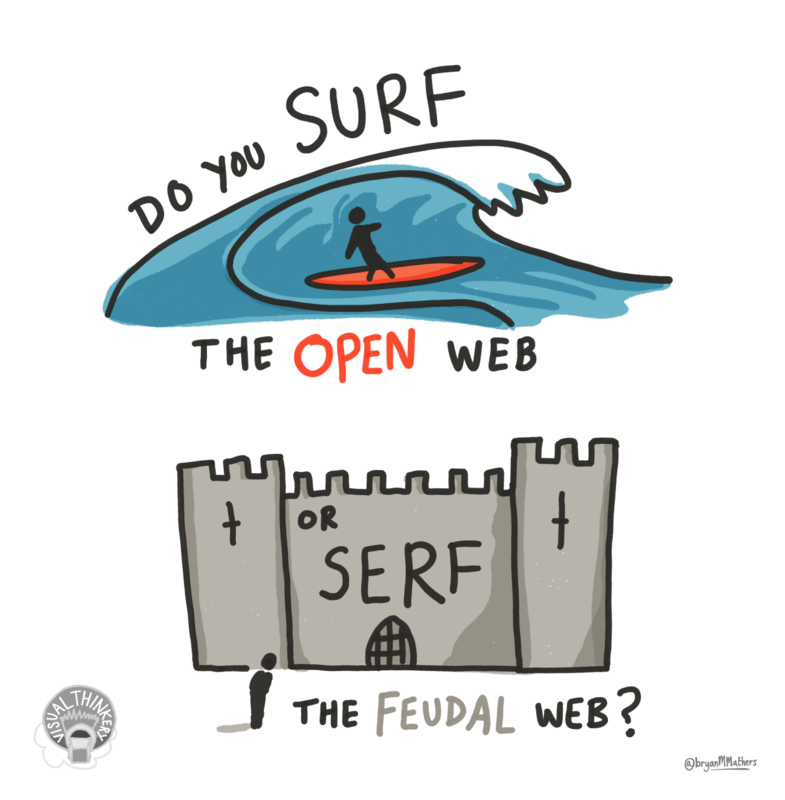 The sea is open. The waves keep coming. Each one different, raising with it fresh atlantic excitement. My brother often corrects my grammar. It’s as easy to get it right as to get it wrong… he would say. Even though I find this mildly irritating, especially as he’s my younger sibling, he’s quite right – and secretly I upgrade my grammar without giving him any satisfaction, only to knowledgeably correct others on the same point.